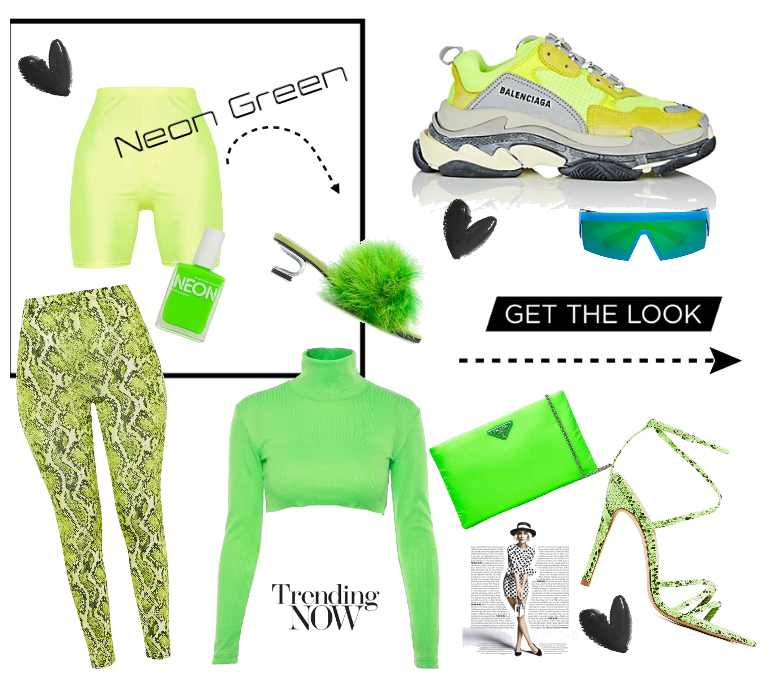 The Neon Colours trend was first seen on the runway at the A/W18 Fashion Week shows and most of us thought this micro-colour trend would flash out of fashion as fast as it was in, however it looks like it is here to stay! 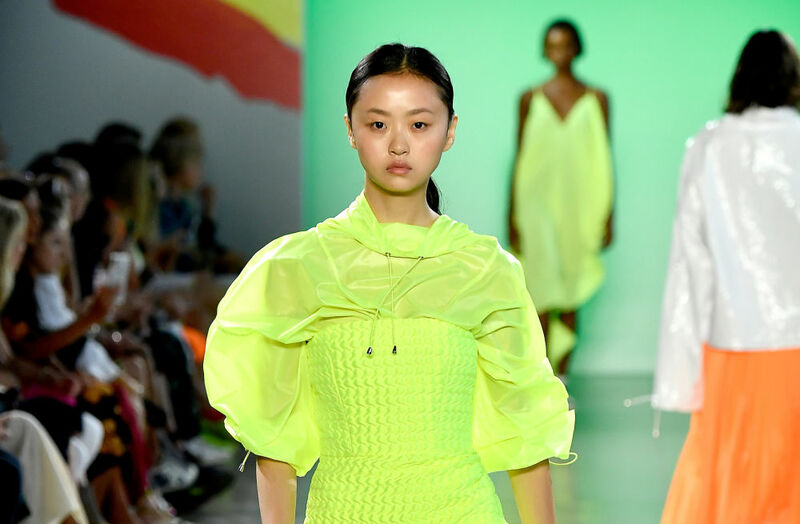 Flashes of Neon reappeared on the runway at the London, Milan, Paris and New York Fashion Week S/S19 shows. Jeremy Scott of course jumped on this diverse colour trend by putting his own spin on it and featuring it in the Moschino S/S19 collection. 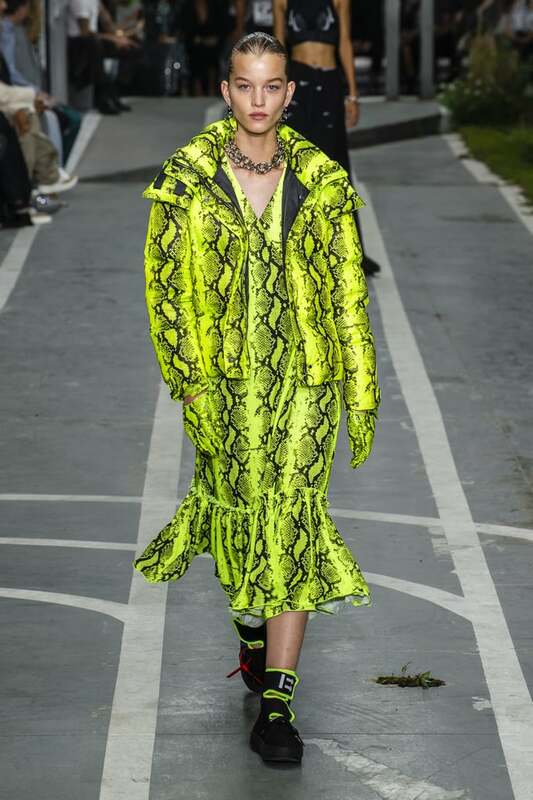 Off-White also jumped on the Neon colour bandwagon by fusing neon hues with his streetwear silhouettes and also collaborating it with another reoccurring A/W18 trend, the snakeskin print. 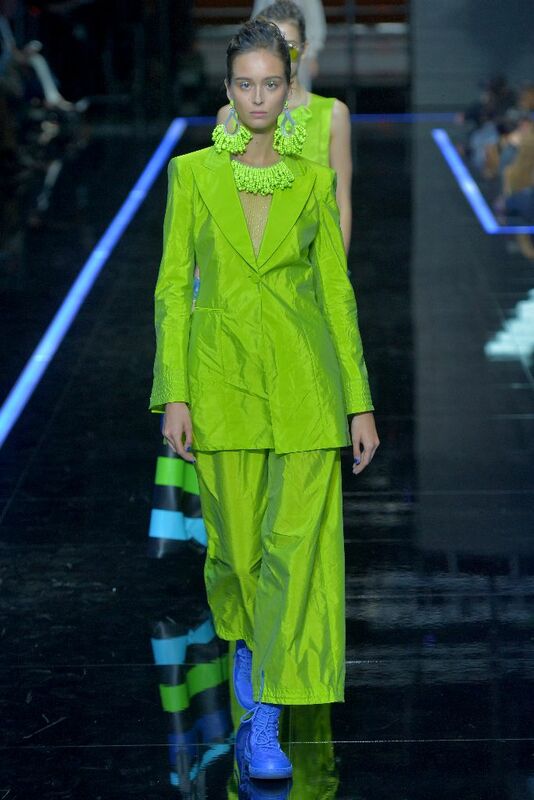 Neon was also seen at the Rochas, Gucci, Versace, Armani, Julien Macdonald and Fendi S/S19 shows. 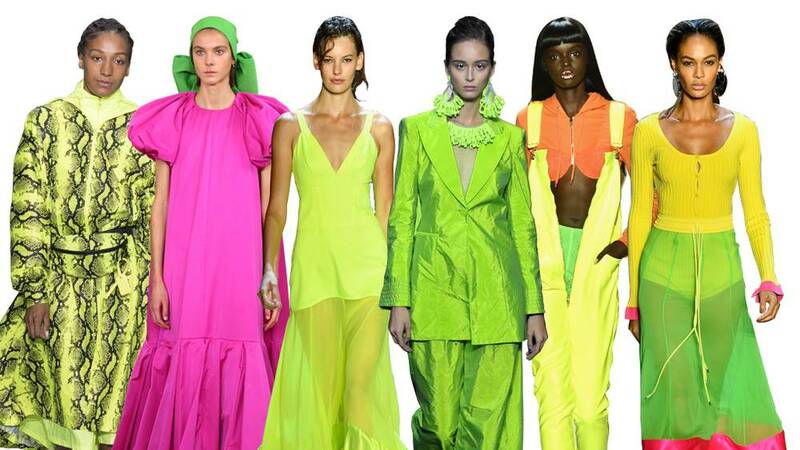 This trend includes the iconic, fluorescent shades such as highlighter yellow, green, pink and orange and it has already attracted multiple celebrities, seen on Blake Lively, Kim K, Kendall Jenner and Bella Hadid. 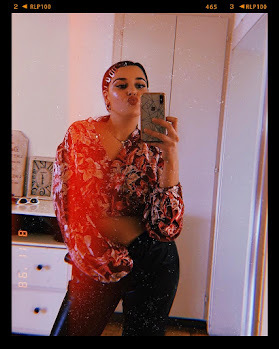 You can wear this trend in multiple ways such as dressing head-to-toe in one neon colour or to clash two neon colours together or just wearing one neon item which is guaranteed to stand out.